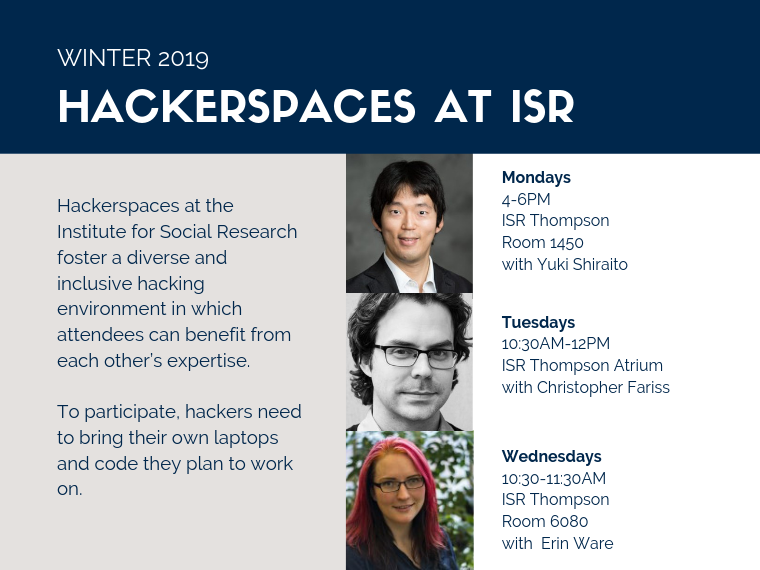 Dr. Ware is a self-taught HPC user and excited to host a weekly hackerspace from February 13 to April 3, 2019. Her training has been in genetic epidemiology, public health, and statistics using SAS (local), R (server), Linux (on FLUX, MBNI, and other personal servers), batch scripting (SGE, PBS, Slurm). Dr. Ware has taught SAS (data management and statistical modeling) and introductory statistics using R. She is experienced in teaching high performance computing to individuals with limited programming background. In this hackerspace, Dr. Ware is particularly interested in addressing issues of data manipulation in Linux, efficient documentation and file naming structures, data management (SAS/R), setting up an HPC connection, WinSCP, getting around a server using basic Linux, genomic analysis, and high-dimensional data analysis. Dr. Ware would like to learn about SFTP using Globus, Python, and more advanced batch scripting in Slurm. 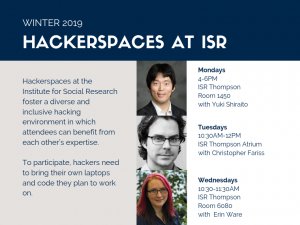 Dr. Ware hopes you will join her hackerspace this term.